It is important that major events such as the Nuclear Security Summit proceed safely. At aalbers|wico we are developing innovative solutions to do just that. For one of our structural security products that protects the world leaders in The Hague, M-sec wall system, we are selected to present this new product at the NSS Innovation Room. The most innovative security-related technologies that the Netherlands currently has to offer will be on display at the innovation room. The NSS Innovation Room will open its doors on 21, 24 and 25 March on the Campus of The Hague Security Delta. 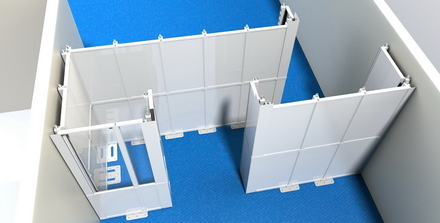 The M-sec wall system is a modular bullet-proof wall system that is easy to install and dismantle. Ideal for creating a temporary security solution in response to changing situations where individuals require immediate protection.